SCH Technologies offer a range of conformal coating masking dots in different sizes.The SCH Technologies range of conformal coating masking dots are used in our own global coating services for both liquid and Parylene conformal coatings. 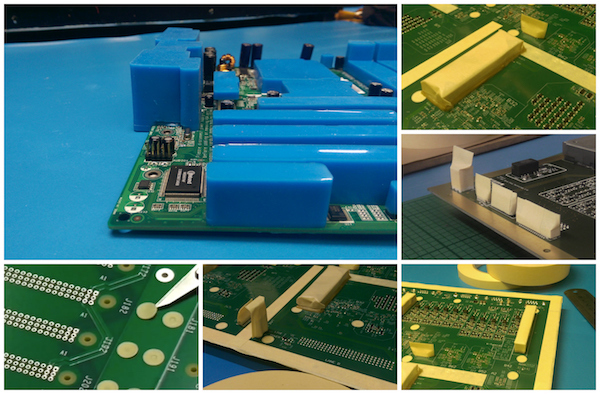 We have carried out a large amount of conformal coating research and trials and these masking dots are a tried and tested solution for us in our facilities. The conformal coating masking dots sizes available in the range of 3mm, 4mm, 6mm, 8mm, 9mm and 10mm. They are typically supplied on rolls for easy use. Why use our conformal coating masking dots? 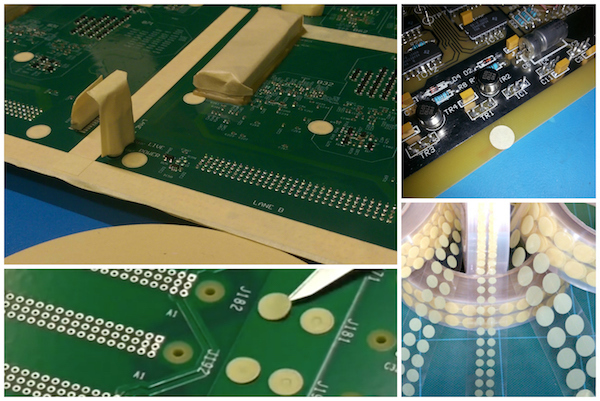 Some masking dots and tapes have problems being used for conformal coating processing. Reacting in an adverse way with the conformal coatings themselves. Therefore, it is crucial to minimise these effects as much as possible and provide perfect protection to ensure areas remain free of the coating . Many companies utilise conformal coating masking materials such as tapes, dots and masking boots to protect certain areas of their printed circuit boards from conformal coatings during application. This is because a lot of components on printed circuit board must remain uncoated. The purpose of the conformal coating masking materials is to prevent migration of the conformal coatings into components and keep out areas. SCH Technologies provide a range of tapes, dots and masking boots that meet the highest standards required for both liquid conformal coating and Parylene processing whilst ensuring the products are price competitive.